Join us on Sunday, April 28, for the 22nd annual Husby Memorial Concert, featuring the Summit Hill Brass Quintet. 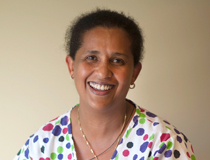 Help caregivers as a respite volunteer. Does Your Employer Match? You can DOUBLE or TRIPLE the impact of your gift of dollars or time with a matching gift. Our model of caregiving where utmost attention is given to respecting residents’ personal preferences and individualized needs. Resources and tips for older adults and those who care about them. Get here. Get healed. Get home. 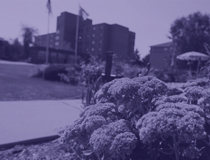 Short-term transitional care (TCU) following surgery or serious illness. 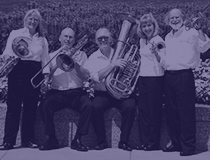 Join us for this FREE concert on Sunday, April 28, featuring the Summit Hill Brass Quintet. 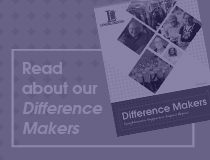 Learn how our supporters are making an impact in our second volume of Difference Makers. Looking for a rewarding career? Check out employment opportunities with Lyngblomsten. 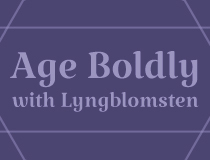 Schedule an Age Boldly with Lyngblomsten presentation to learn about the need for innovation in older adult services. We’d love to meet you & show you around campus. 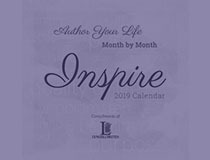 Check out Lyngblomsten's 2019 calendar that celebrates living your best life possible! 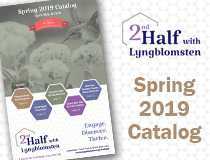 For our participants, Lyngblomsten promotes dignity through informed choices for living options, respecting individuality, and orchestrating the best life possible. For our participants’ families, Lyngblomsten supports their needs through careful listening, traveling alongside them as they walk the journey with their loved ones. 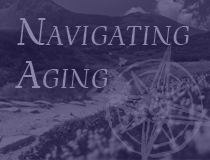 For our employees, Lyngblomsten strives to foster an environment that encourages compassionate caregiving, innovative thinking, problem-solving, and opportunity seeking. Through our community of donors, volunteers, and corporate congregations, Lyngblomsten encourages the individual to live one’s personal ministry by enhancing the lives of older adults. Lyngblomsten strives to provide unmatched person-centered experiences, valuing: who you are, where you are, and your rights to make choices and decisions.